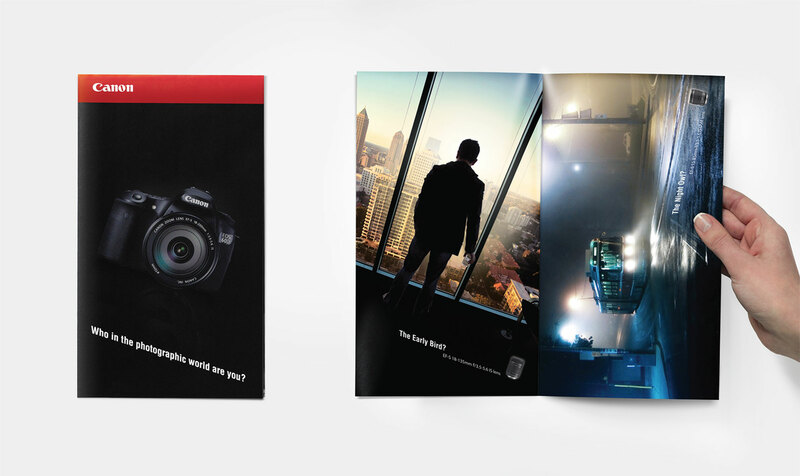 The Canon X0D series has appealed to a wide range of photographers throughout it existence, from amateur enthusiasts and semi-pro photographers through to professionals who appreciate a high quality camera. Canon were ready to launch a new model camera that was both aspirational and attainable but would appeal to a user that had outgrown their Rebel /XX0D existing camera. With the new EOS 60D DSLR model, Canon was giving the photo enthusiast a powerful tool fostering creativity, with better image quality, more advanced features and automatic and in-camera technologies for ease-of-use. 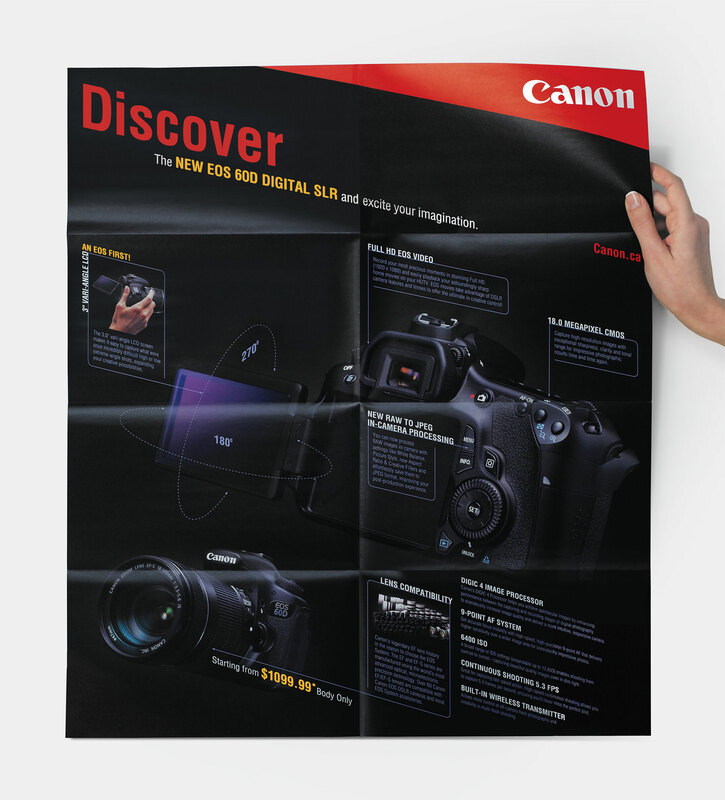 Challenge: To develop a FSI (Free Standing Insertion) awareness insert in newspapers to launch the new Canon EOS 60D DSLR camera. To highlight the camera’s new and improved features but more importantly focus on the ‘flip-up’ vari-angle screen, which was a first of its kind for the Canon EOS DSLR series. 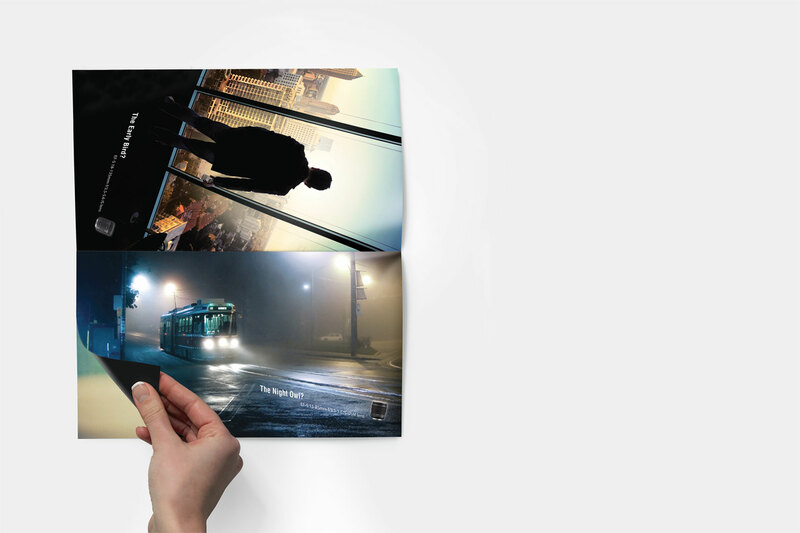 The Result: The creative allowed the participant to interact and ‘flip’ each section of the brochure open as they are guided to a reveal message. 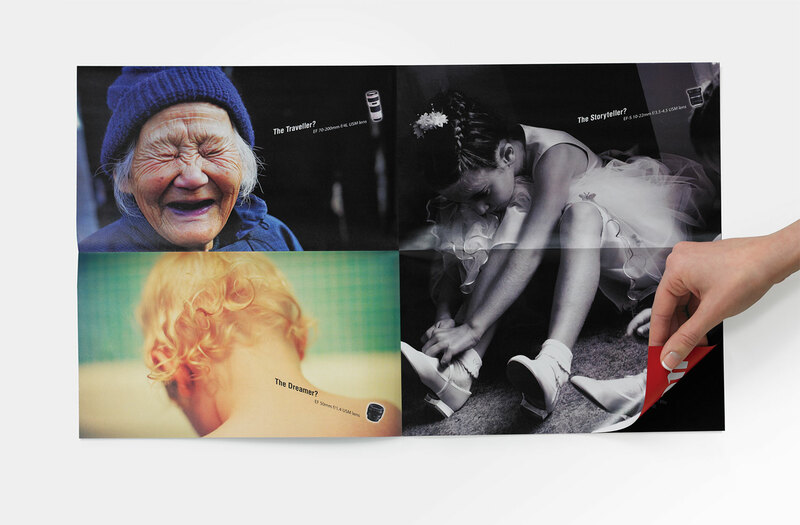 The creative folding unveiled the “big picture” once the piece is completely unfolded.